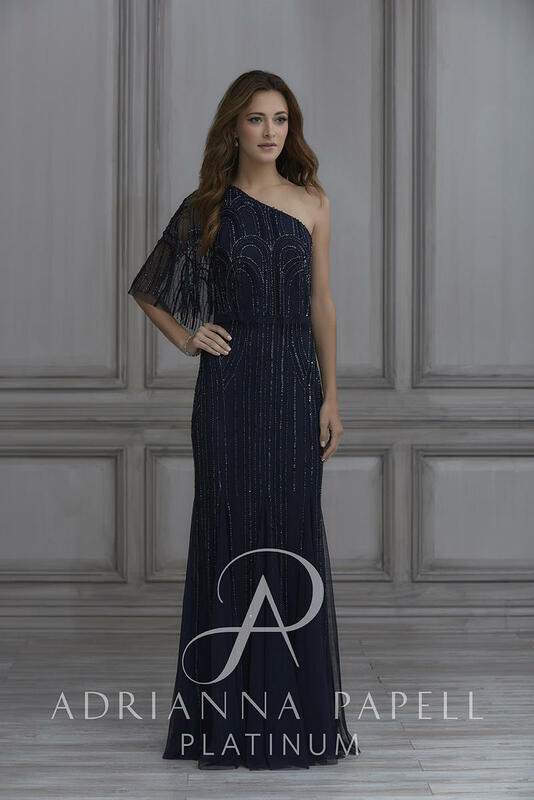 A stunning, single shoulder, mesh gown with skirt godets and a flounce top. Features long trailing columns of shimmering sequins. Zips up the side.